The #205x28 Balancer is designed for use in SBF engines using 28oz. externally balanced crankshaft. The #205x50 damper is designed for use in SBF engines using 50oz. externally balanced crankshaft. The Balancer utilizes the stock late model 4 bolt pulley pattern and the spacing matches the 86-93 Mustang accessory system. 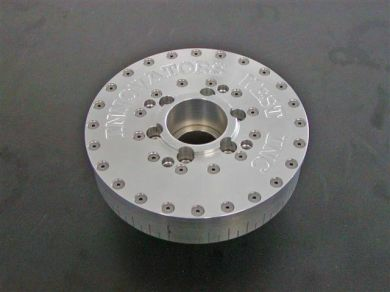 This Balancer is best matched for stock or modified engines producing up to approximately 1000 hp.